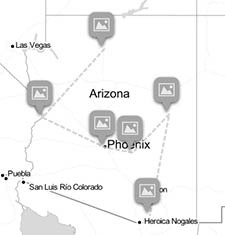 Click the image to visit some of the best places to view monarch butterflies in Arizona. PHOENIX – The Tucson-based Center for Biological Diversity and other groups are petitioning the federal government to make the monarch butterfly an endangered species, citing a population drop of more than 90 percent over the past two decades. 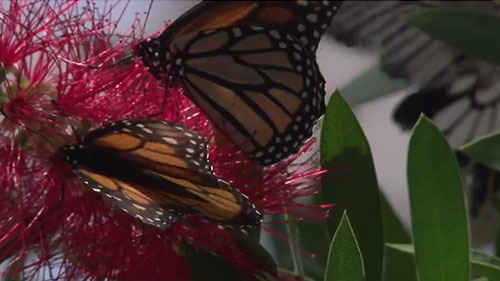 The coalition, which also includes the Center for Food Safety and The Xerces Society, which seeks to preserve habitat for invertebrates, submitted a petition Aug. 26 for the U.S. Department of the Interior to protect monarchs under the Endangered Species Act. Monarch butterflies are known for their transcontinental migrations each fall and spring, with a population west of the Rocky Mountains ranging from the U.S.-Mexico border area into Canada and another east of the Rockies wintering in central Mexico. 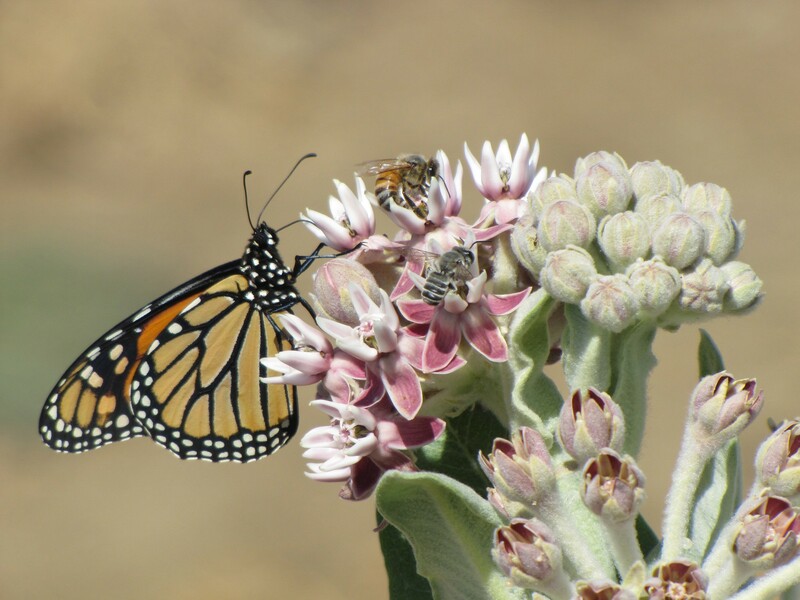 While the western population winters primarily along the coast, monarchs also breed in Arizona. “Monarchs east and west of the Rocky Mountains now face significant threats to their survival in both their summer and winter ranges, and their numbers have declined precipitously in recent years,” the petition says. The petition gives the U.S. Fish and Wildlife Service 90 days to review the groups’ findings and respond. “We’re at risk of losing this beautiful butterfly that has been in American backyards for generations,” said Tierra Curry, a senior scientist with the Center for Biological Diversity. Laury Parramore, a U.S. Fish and Wildlife Service spokeswoman based in Arlington, Va., said the agency doesn’t formally comment on petitions. However, Jeff Humphrey, Phoenix-based public outreach specialist for the agency’s Southwest Region, said the process of adding a species to the endangered list can take years. Curry said that a backlog has led to long waits. Environmental groups have grown increasingly worried about the drop in monarch populations. 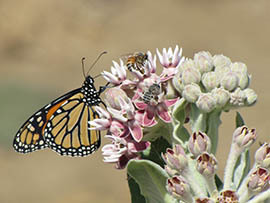 While the numbers can fluctuate wildly from year to year due to droughts and other natural causes, Karen Oberhauser, Steering Committee chair at the Monarch Joint Venture, said there has been an unmistakable downward trend over the past two decades after monarch populations peaked during the 1996-97 season. “Last year was the lowest year on record for monarch butterfly populations,” Oberhauser said. While many scientists initially thought that the decline of the iconic butterflies was due to a loss of habitat from logging in Mexico, Oberhauser said the reality is more complicated. “The habitat loss has actually slowed down in recent years,” Oberhauser said. Oberhauser said that monarchs face challenges ranging from a loss of habitat in the Corn Belt, where many monarchs are born, to insecticides used on genetically modified plants that destroy milkweed, the monarchs’ primary food source. She pointed to a rise in neoincotinoids, a class of insecticides particularly damaging to butterflies. The petition noted that neoincotinoids are commonly used on the seeds of crops, including cotton grown in Arizona, a breeding site for monarchs. Humphrey said the drop in monarch populations mirrors a much wider loss of pollinating creatures, such as bees and bats, a problem he said could have a serious impact on Arizona’s flora, particularly saguaros and flowers. “The wildflowers that people come to Arizona from all over to see every spring could be in danger,” he said. Curry said there are ways for citizens to help, including planting milkweed, a common flowering plant that can thrive in backyards, parks and other green spaces. “If you plant the milkweed, they will come,” she said. Butterfly Wonderland sees many monarch butterflies pass through on their migration route to warmer climates for the winter. Reporter Chase Golightly shows us why the butterfly hub is seeing fewer orange wings each year. The Tucson-based Center for Biological Diversity is among groups petitioning to have the federal government place monarch butterflies on the endangered species list.